Citroen C4 Electric Power Steering Pump – Exchange & Repairs Available! 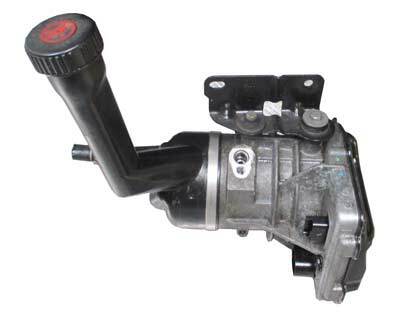 Many problems have known to occur with the Citroen C4 Electric Power Steering pump, which usually causes the complete loss of power steering. Many complaints have been reported regaring this specific unit, advising that it tends to start with an intermittent loss of power, which progresses gradually. This issue has known to burn out the motor inside the pump, as well as the controlling circuitry, as the electric power steering pump continues to stay on even when the vehicle is turned off. Obviously, this causes the unit to drain the battery and increases the amount of failures that can occur with the electric power steering. Local garages or dealers may advise you that the whole unit will need to replaced, however, as many customers are aware, these can work out to be extremely expensive especially as the unit may also require coding or programming. My Citroen C4 Power Steering Pump is faulty – How can Sinspeed Help? As we are aware of the fault that exists within the pump that causes it to stay on, we permanently repair this when fixing the Citroen C4 Electric Power Steering pump to ensure it never comes up again! Due to the high demand of these units, we have now started to carry these in stock, so you can also opt to exchange this with your old unit, and it will also come with Lifetime Warranty. Fitting services are also available. Please call us today on 0844 847 9999 for further information. Tags : Citroen C4, Citroen C4 Battery Drain, Citroen C4 Battery Keeps Draining, Citroen C4 Electric Power Steering Pump, Citroen C4 electric pump, Citroen C4 electric steering, Citroen C4 Heavy Steering, Citroen C4 No Power Steering, Citroen C4 Power Steering Problems, Citroen C4 Power Steering Pump, Citroen C4 Power Steering Pump Failure, Citroen C4 Power Steering Pump Faults. We do post to Northern Ireland. I have sent you an email with full information and pricing.